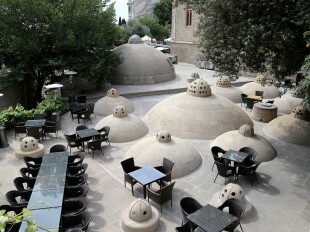 The ancient land of Azerbaijan has beautiful examples of the art of construction from many periods. Azerbaijani craftsmen enriched Eastern architecture with their priceless creations, which include the Maiden Tower in Baku, the mausoleums in Naxcivan, the mosque ensembles in Ardabil and Tabriz and the palace complexes of the Shirvan Shahs and the Shaki khans. These monuments, which represent mainly the Islamic period of architecture of Azerbaijan, are quite well known both at home and abroad. However, a considerable number of monuments remain from the time of Caucasian Albania on the territory of North Azerbaijan. state religion in the country. Albanian script was created in the 5th century, which promoted the development of education and literature. Initially, the town of Qabala was the capital of Caucasian Albania. 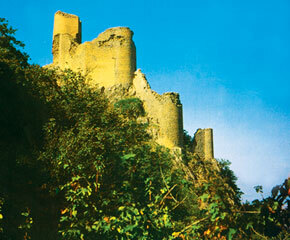 In the year 551, the capital was moved to Barda, in lowland Karabakh. In the 6th-7th centuries, Albanian architecture was at its height. This period saw the construction of a host of prominent monuments which are still impressive today. The fortifications that especially stand out are the famous wall of Derbent, now in Russia´s Dagestan, and the Zaqatala, Gilgilchay and Besbarmaq fortifications. 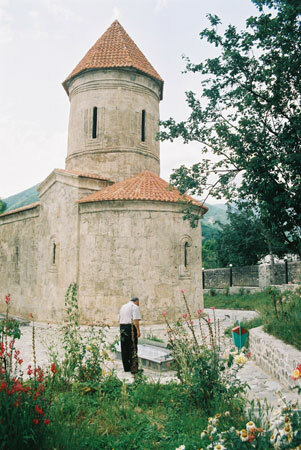 Albanian Christian churches, of which many remain in Azerbaijan´s mountainous areas, are of great architectural and historical interest today. Christianity started spreading in Caucasian Albania from as early as the 2nd century and, according to legend, it was here, in the ´town of Gis´ (the present- day village of Kish in Shaki District), that the South Caucasus´s first church was built. After Christianity was endorsed as the state religion, the construction of churches acquired a larger scale. Many were built during the rule of the king of Caucasian Albania, Vachagan the Pious, in 483-510. According to the Albanian historian Musa Kalankatli (also known as Moisey or Moses Kalankatuyskiy), Vachagan the Pious ´built as many churches as there are days in a year´. Samples of the architecture of that period reveal a wide variety of architectural styles and the high degree of craftsmanship of Albanian architects. These include the Qum (Qax District) and Agoglanchay (Lachin District) three-nave basilicas, and the Kilsadagh (Qabala District), Mamrukh (Zaqatala District), and Laki (Qax District) round, multilevel temples. The economic and cultural development of Caucasian Albania was interrupted by Arab invasion. By the year 704, Caucasian Albania had been completely conquered by the troops of the Caliphate, and the process of Islamicization started in the country. The Arabs were tolerant of Christians, which meant that part of the population of Caucasian Albania, especially in its mountainous and submontane areas, could keep their old religion. The local Albanian royal lineages began to strengthen here in the 9th century, as the power of the Arab Caliphate began to weaken. The status of these families as vassal princes enabled them to hold sway in their territory. its highest level. This period saw the ascendancy of the Khachen (Mountainous Karabakh) princes whose representative, Hasan-Jalal Dawla, managed briefly to unify Albanian principalities, and received the title of king of Albania. Christian culture and architecture, which continued their evolution since the 9th century, reached their heyday in the 12th- 13th centuries. During this period, numerous architectural monuments were created, including some beautiful churches. After the capital of Albania was moved from Qabala to Barda, the centre of cultural life also gradually moved further south. This is why most of the Albanian-Christian churches of the 12th-13th centuries have been preserved in the south-western part of Azerbaijan, namely in Karabakh, especially in its highland region, and adjoining areas. 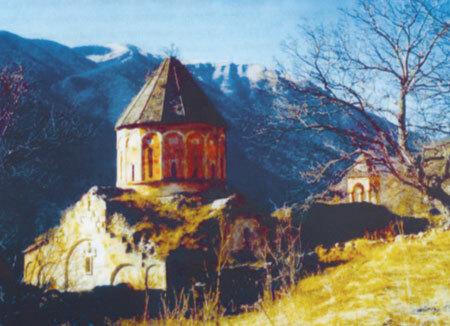 In the Soviet period, Azerbaijani scientists recorded and studied numerous Albanian Christian buildings which included large monastic ensembles too. 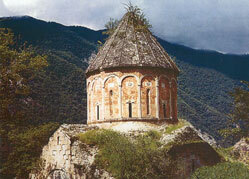 The largest of these complexes - Khudavank, the Saint Elias Monastery, Gandzasar, Khatiravank and others - are in Karabakh. of buildings constructed in different historical periods. 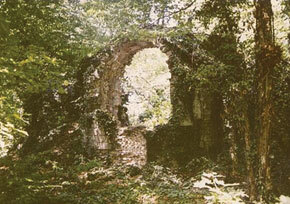 According to legend, the site of the monastery has been regarded as a shrine since ancient times. A large one-nave basilica - the largest of the monastery buildings to survive - was erected here in the 6th century. 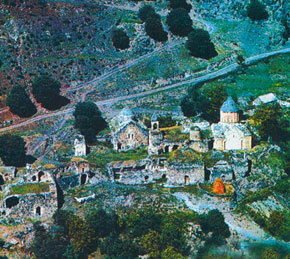 In the 13th century, the monastery was renovated, and new buildings were constructed in it, with money provided by representatives of the Upper Khachen Albanian princely lineage. 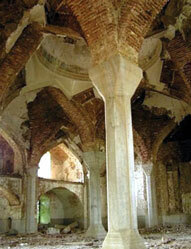 The main church of the complex was built in 1214 by Princess Arzukhatun, wife of King Vakhtang- Bahram. A 19-line inscription dedicated to her as the patron of the construction can be found on the south wall of the church, which is made from cleanly hewn squares of fine stone. Arzukhatun, cousin of the mighty Zakare and Ivan Dolgoruki, is a significant figure in 13th-century Albania and left her mark in the remarkable architectural monuments of that time. The cathedral church in Khudavank is one of the best examples of Albanian architecture. It has perfect form and proportions, classical reserve and simplicity of decor. 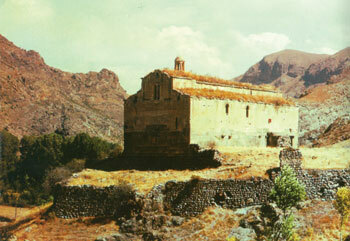 The St Elias monastery is situated on one of the spurs of Mount Murovdagh. It is surrounded by high hills and deep gorges. The southern side of the monastic courtyard falls into a deep abyss at the bottom of which a tributary of the Tartar runs. Musa Kalankatli´s History of the Albanians says that the monastery existed already in the 5th century during the rule of Albanian King Vachagan the Pious. King Vachagan and was used as a summer residence. 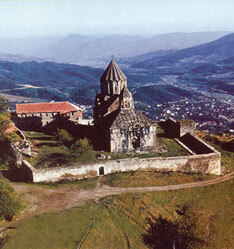 The best known monument of Albanian Christian architecture is the monastic complex Gandzasar built by the Albanian King Hasan-Jalal Dawla and members of his family in the 13th century. The cathedral church of the monastery is a cruciform, domed building with four sanctuaries in the corners. The facades of the church are decorated with an arcade. The drum of the dome is especially richly decorated and its sculptures and carved stone fretwork are genuine works of art. Khatiravank is a monastic complex located on the River Tartar below Khudavank. It is known as the vault of the lineage of the Albanian Princess Dofi. This is one more Albanian Khachen princely family. The son of the Albanian prince Qara-Grigor (Black Grigor) and Dofi - Hasan the Brave - was married to the daughter of Prince Kurd and sister of Arzu-khatun -Mamkan. temple is asymmetric with two chapels occupying the north-east and south-east corners. This article has looked at only four of the large monuments of Albanian church architecture which remain on the territory of Karabakh. The history of these monasteries is closely connected with the history of Caucasian Albania from the first centuries AD to the late Middle Ages. They have preserved the memory of the first preachers of Christianity in Caucasian Albania, the eastern outskirts of the Christian world, of Albanian kings, princes and church figures, who built the magnificent architectural monuments and imprinted their names upon them. The whole history of Karabakh-Artsakh, the ancient Albanian-Azerbaijani region, is reflected in the architecture of these complexes. the unstable political situation across the USSR, and also in Azerbaijan, and started a war to detach Karabakh from Azerbaijan. 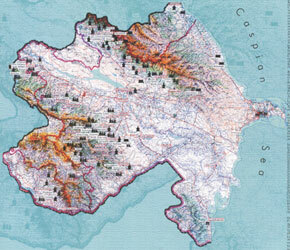 As a result of hostilities which were conducted with Russia´s help, by 1994 Armenia occupied 20 per cent of the territory of Azerbaijan including Mountainous Karabakh and seven adjoining districts of Azerbaijan, and continues to hold them to the present day, despite having its actions condemned by all international organizations, and a UN resolution that demands an immediate vacation of the occupied territories. An explicit and large-scale cultural terror is under way on the occupied lands. 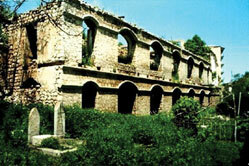 An historical-architectural reserve - the medieval town of Shusha - has been half-destroyed. This town has an original town-planning structure and had preserved its ancient neighbourhoods and numerous historical and architectural monuments at the time the war started. 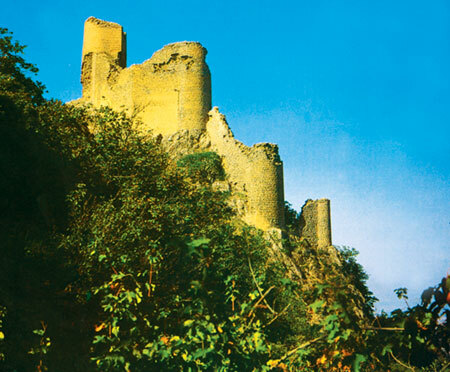 Mosques and houses dating back to the 18th-19th centuries and monuments of civil and defence architecture have been destroyed in Shusha which was the centre of Azerbaijan´s musical culture. Prominent monuments of civil architecture remain in the occupation zone. 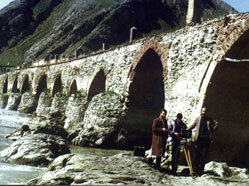 These are the eleven-arch and fifteenarch bridges on the Khudaferin crossing of the Araz. 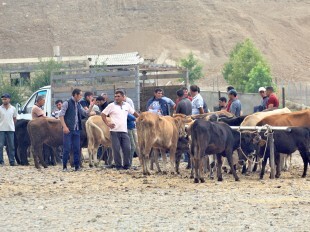 They are on a route that was used since ancient times, on a lively caravan trade path. mosques, including those built by the outstanding Azerbaijani architect Karbalai Safi Khan Qarabaghi, the bridges, bathhouses and memorials. Many monuments have been destroyed, among them the mausoleums of Malik Azhdar (12th-13th centuries), Mir Ali (14th century), Kachin Dorbatli (14th century), Sheikh Babain (13th century) and Panah Khan (17th century). 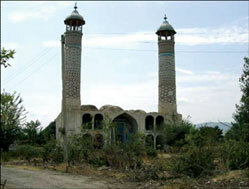 Azerbaijani cemeteries have also been destroyed. Part of this destruction is a consequence of the hostilities, but another, a larger part, is the result of the cultural terror and systematic destruction of the traces of Azerbaijanis in the occupied territories. If a terror policy is being conducted towards the monuments of Islam, then another part of Azerbaijani cultural heritage - the Christian church architecture of Caucasian Albania - is subjected to a policy of forcible ´Armenianization´. 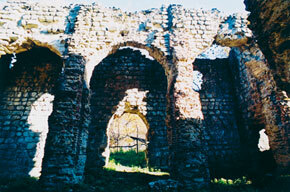 Armenian researchers conduct socalled restoration work on these monuments aiming to ´Armenianize´ them. This is illegal work as it is done on occupied territory, on monuments that belong to others, and without the participation of Azerbaijani scientists. 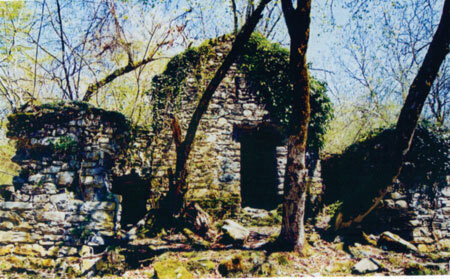 According to information at our disposal, traces showing that the buildings belong to Albanian culture are being erased. Specific features of Albanian Karabakh architecture are being falsified and destroyed under the guise of restoration work. Unfortunately, foreign specialists are sometimes involved in this work too, and their participation, the occupiers believe, gives their fabrications ´scientific authenticity´. The large-scale Armenian barbarism against Azerbaijan´s cultural heritage has been under way in the occupied territories for 15 years now. 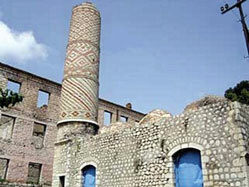 The World Decade of Cultural Development (1988-97), declared by the UN General Assembly and held under the auspices of UNESCO, went down in Azerbaijan´s history not as a decade of protection of cultural heritage but as a period of an open and destructive encroachment on Azerbaijani culture by Armenians. The fact that the nationalists occupy rich natural and cultural heritage, including unique monuments of world significance, is in fact an attack on world heritage. 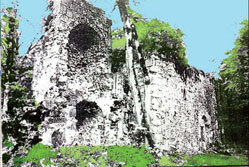 The international organizations which are called upon to provide humanitarian assistance and which conduct major projects to protect historical towns and monuments from the destructive force of nature and time must today help protect Azerbaijan´s rich cultural heritage from Armenian terrorism in the occupied territories too. There is a need for international monitoring of monuments of material culture, which will reveal all the consequences of the war and cultural terror and stop the ongoing barbarism.